We are located on Winchester Street in Sherwood the company continues to process all cleaning on site to the same exacting standards. Led by Adrian Redgate (founder Henry’s great grandson), the firm is still very much a family affair with Adrian’s sister, Helen working there too. Their father John was involved with the business right up until his passing in August 2014. John had previously spent a number of years running the company before handing the running of it over to Adrian. The business has changed with society, especially following the advent of the washing machine, which impacted severely on demand. 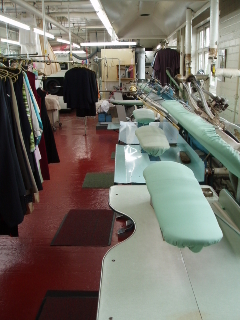 This persuaded us to concentrate primarily on dry cleaning. Today our network of agents stretches throughout the greater Nottingham area from the city centre out to Southwell in the east, Long Eaton to the west and Mansfield in the north. Our long standing presence in the dry cleaning and laundry industry shows that National Dry Cleaners can offer the right service, professional garment care and customer assistance that you would expect for someone you entrust your clothes to. 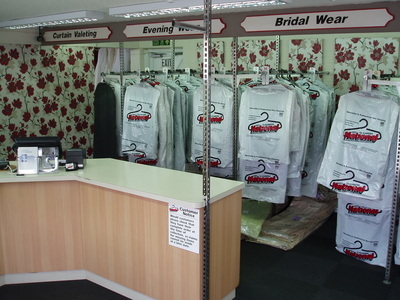 We have an excellent working relationship with some of Nottingham’s top fashion and bridal brands along with many of the cities top clothing, bridal and curtaining retail outlets. Our expertise, attention to detail and high levels of customer service have been the main contributing factors to our continued success.